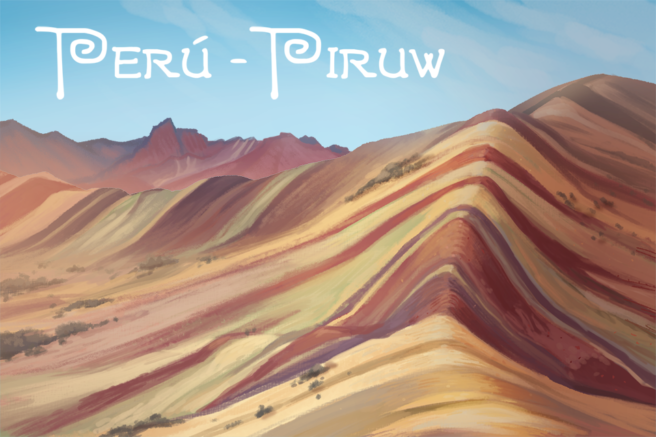 Today we release our newest country/regional souvenir, Peru! 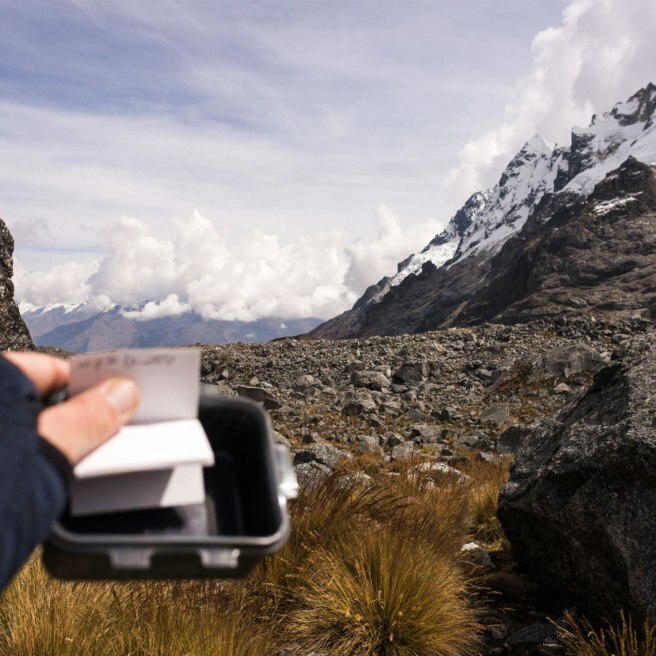 If you have found a geocache in Peru, you automatically receive the souvenir on your profile. 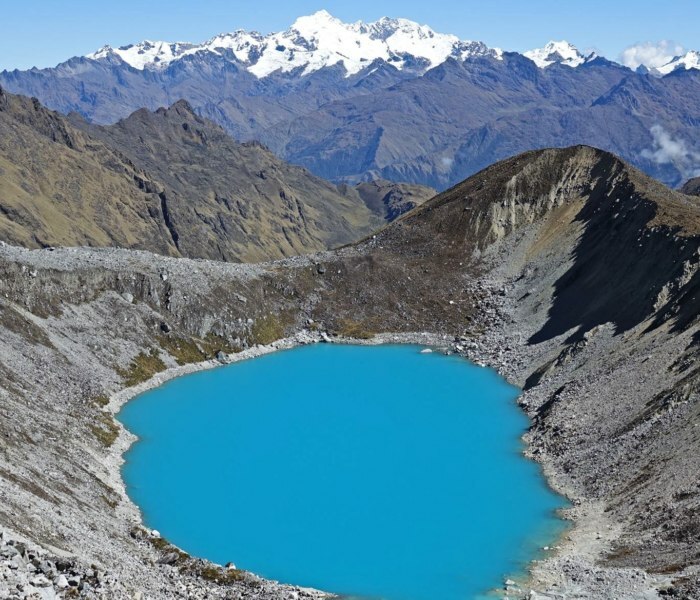 Peru is known as a megadiverse country that includes lush jungles, alpine highlands, glacial peaks, dramatic beaches, and arid deserts. Home of Vinicunca Mountain, Lake Titicaca, and of course, Machu Picchu. 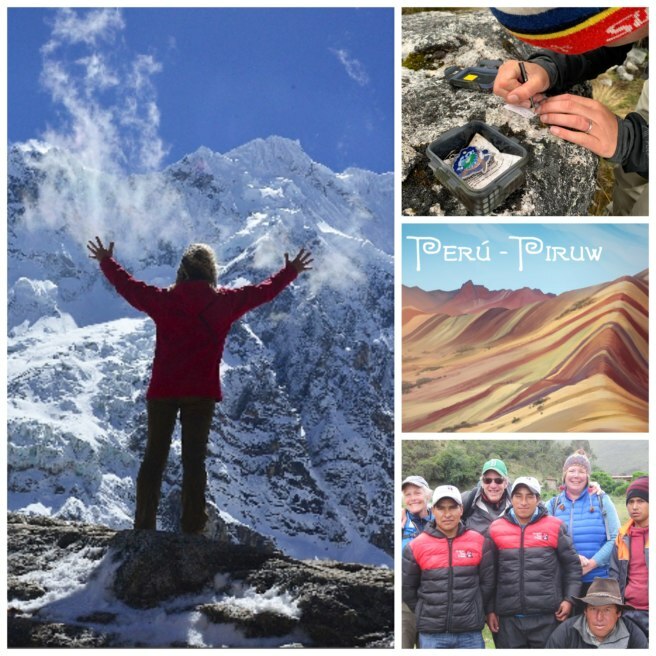 If you’re looking for an off-the-beaten-path way to get to the Lost City of the Incas, try this Geocache of the Week, titled “Letterbox-Peru: Salkantay Pass”. Just a hop, skip, and a 4,600 meter (15,000 foot) jump and you’re there! Talk about WOW! 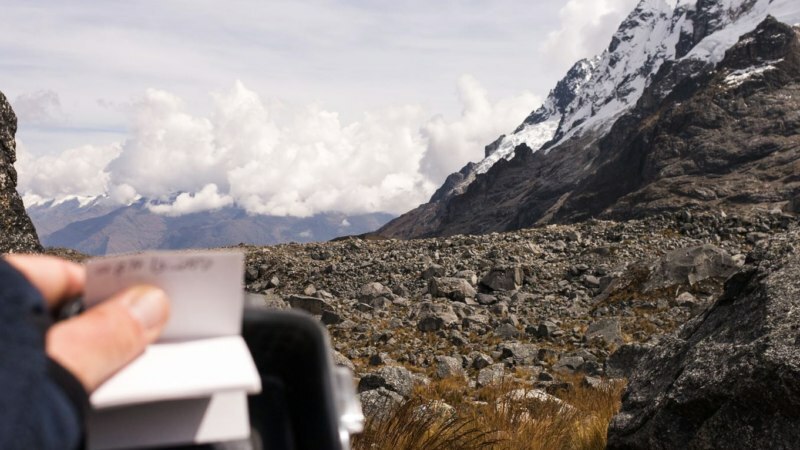 This is Peru’s oldest and most Favorited Letterbox Hybrid Cache. It was hidden August 6, 2012, by cache owner enaus but is well maintained by Manual, a professional, local guide who makes this climb frequently. 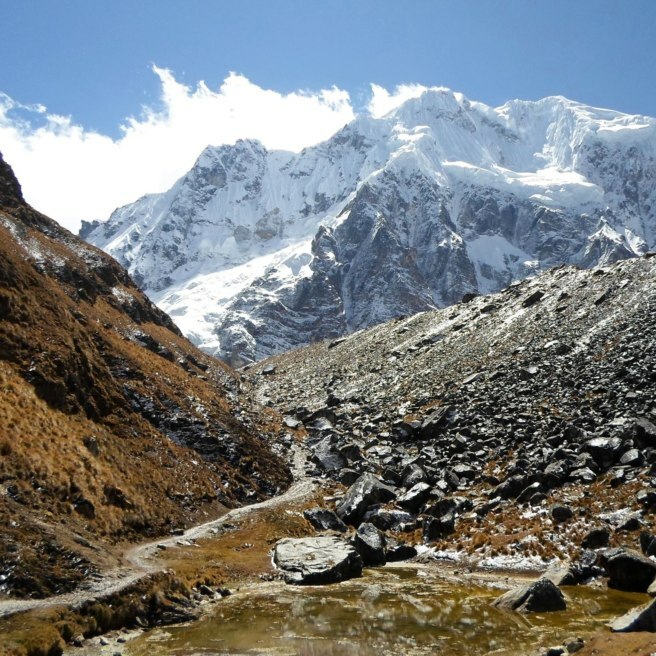 Oh, did we mention that the highpoint of the Salkantay Trek to Machu Picchu sits at 4,600 meters (15,000 feet)? 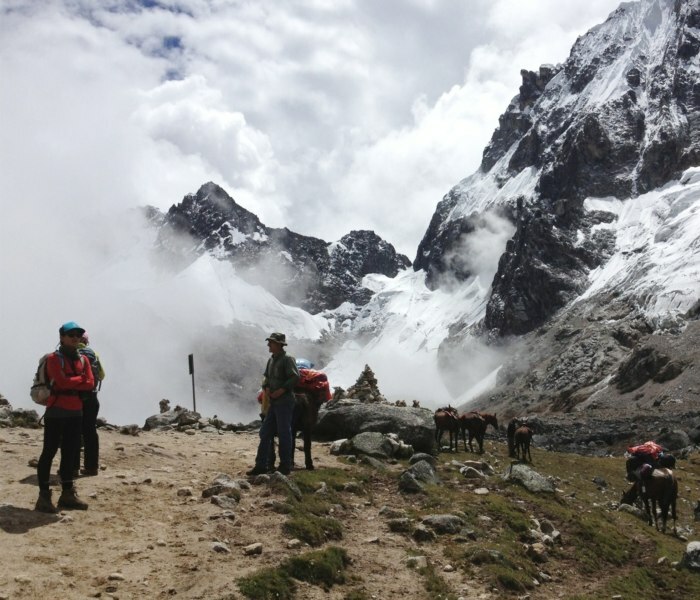 For those who are more adventurous, the Salkantay Trek is an arduous and popular travel alternative to Machu Picchu. 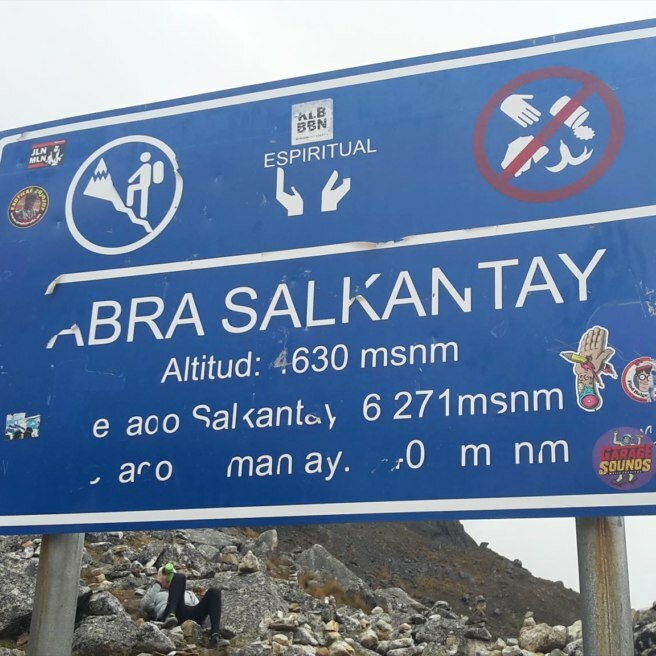 The hike is for those who are not only in shape but prefer to avoid the crowded bus/taxi/train/shuttle route to the top. 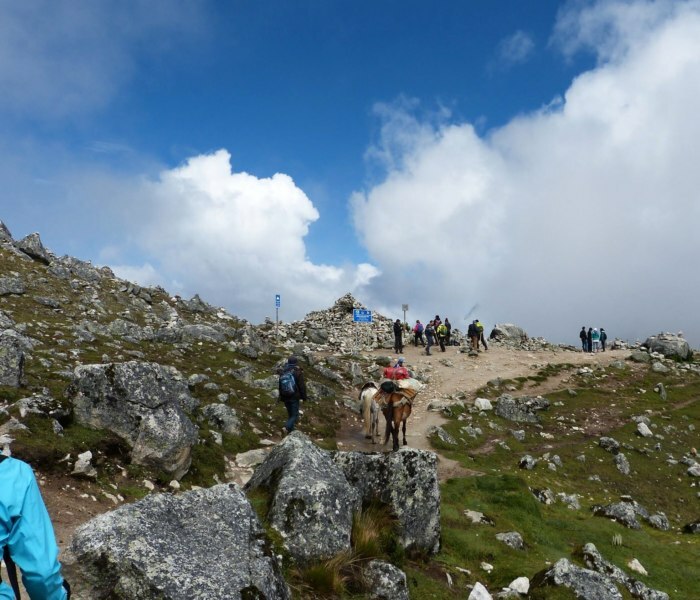 The walking trail meanders and climbs through lowland jungles, highland pastures, and finally, dramatic glaciers at the summit. 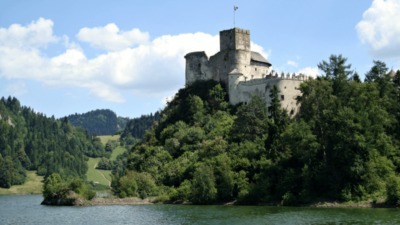 All necessary equipment, food, personal luggage, and horses are taken care of. 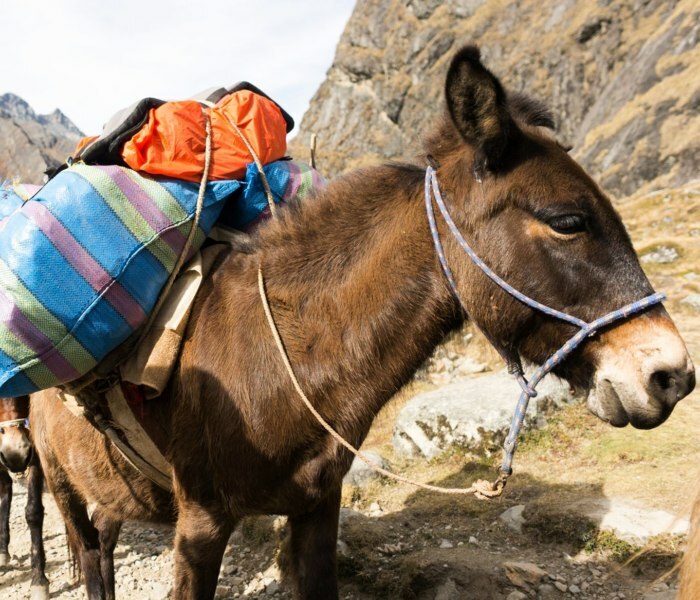 Guides educate hikers about the many indigenous animals and plants along the way. 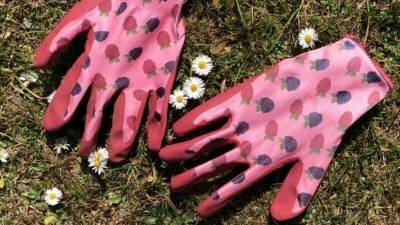 Brilliant personal chefs prepare excellent 3-course meals paired with fresh juices and rocoto. Perhaps most importantly, guides keep you motivated along the challenging route. If you plan to do it alone, even if you are in great shape, beware of altitude sickness especially if you have to carry a heavy pack. 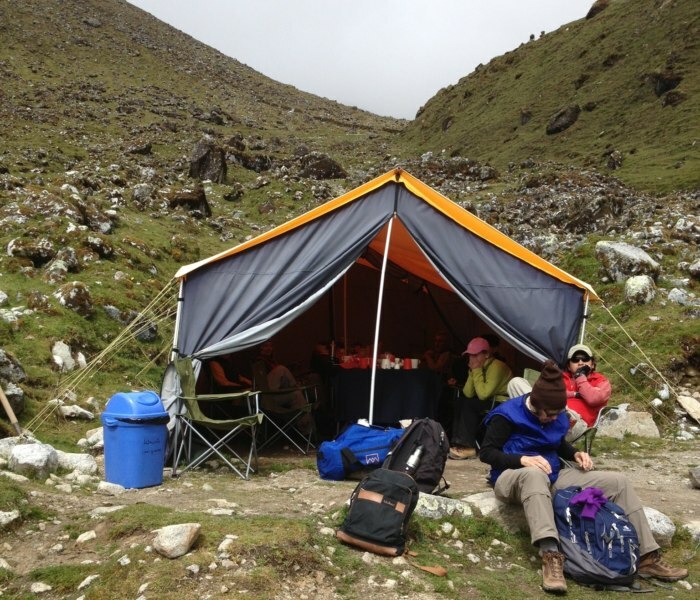 The cache owner suggests you spend several days in places such as Cusco, or Arequipa to acclimate yourself. 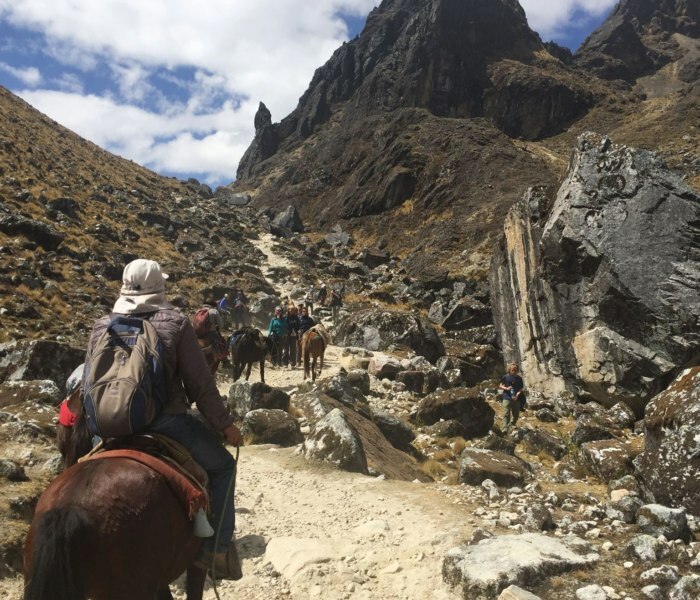 A wonderful guide for more information about the Salkantay Trek to Machu Picchu can be found here. The cache page gives great information and directions to the cache, even adding spoiler photos. 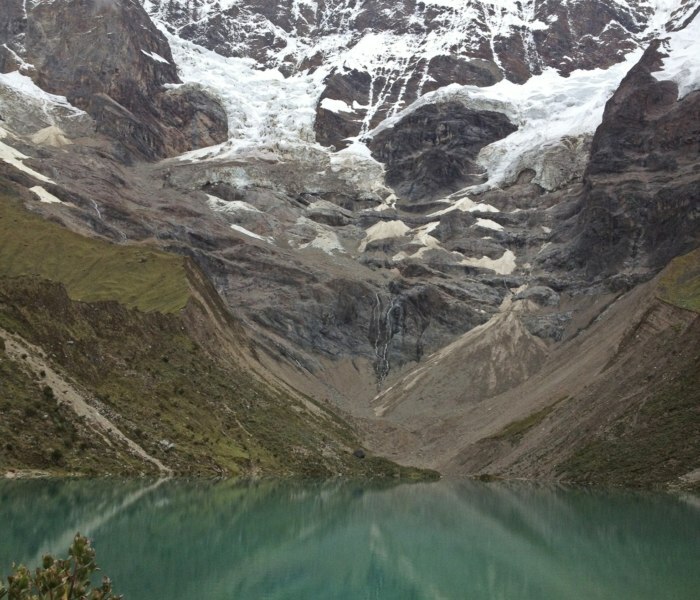 But hey, you’ve traveled all the way to Peru and climbed up this insane mountain. 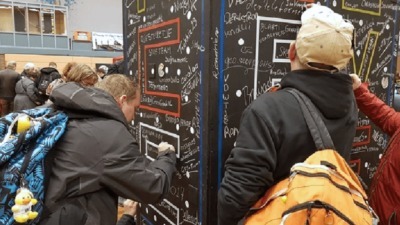 The cache owner wants to make sure you don’t leave without signing the log! FOUND! And, man oh man, was this the hardest cache I’ve ever had to get to. Second cache in Peru. 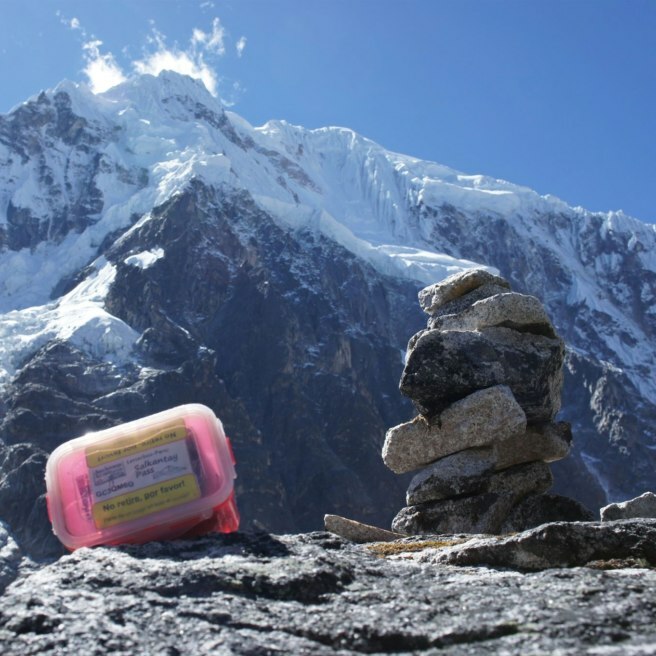 I found this cache while on the 5day/4night Salkantay Trek with my two good friends, 9 other awesome fellow trekkers, and our fabulous guide Elias (go team Puma)! Our ascent of the pass was only our second day trekking, and I think it was probably the hardest climb I’ve ever done, purely because of the elevation. 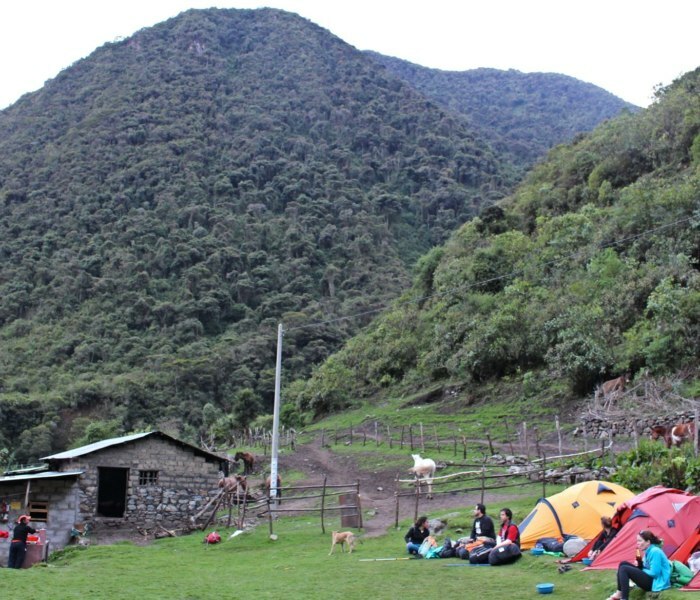 Luckily, the headaches went away over the course of the day, and by the time we reached Salkantay Pampa (15,100 feet) at 8 or 9 am, I was feeling much better. We took the obligatory group, solo, and group combination photos at pretty much every spot at the top, before doing the short hike to the nearby alpine lake. On the way I made everyone stop to find this cache with me. I went straight to the coordinates where the cache was and after a quick circumnavigation of the boulder, I noticed the right things and found the cache pretty quickly. What an amazing experience the trek was. The following 3 days just got better and better. Descending into the jungle below the pass was probably the most beautiful part of it for me. Thanks for placing a cache up here!